Welcome to a new interview series featuring one of the great Batman writers of the Bronze Age — whose Batwork is being collected in hardcover. I’m guessing that most people think of Wolverine or Swamp Thing or any number of other characters or works when they think of famed comics writer Len Wein. I myself have written many times that the primary Batwriters of my youth were Denny O’Neil and Steve Englehart but that’s not entirely true. Len Wein also had an enormous impact. 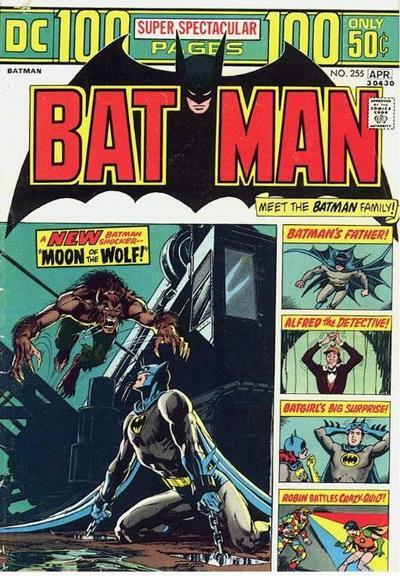 See, when I became a regular comics reader, and by that I mean someone who made sure to go to the store on a regular basis to pick up the latest issues of his favorite titles, it was Len Wein who held the keys to the Batcave. I was 12 years old, and though I’d been reading comics and had been into superheroes since I was 5, we now lived in a town, and I was at an age, where I could just walk to the store on my own with a little money in my pocket. 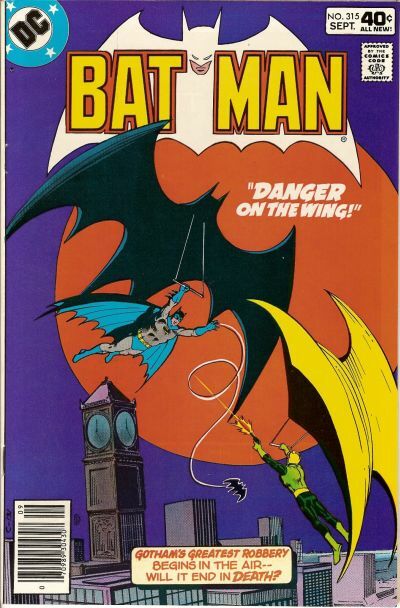 This was 1979 and for that glorious spring and summer, Len Wein (and guys like Walt Simonson and Irv Novick) gave me a string of colorful Bat-adventures that featured the likes of Two-Face and Riddler — but also brought back forgotten guys like Calendar Man, who ended up sticking around, and Kite-Man, who did not. But there were many more stories that Wein was responsible for, only I didn’t know it at the time. When I saw that DC was going to collect much of his Bronze Age Batwork in a hardcover due out later this month — Tales of the Batman: Len Wein — it hit me that Len was the next guy I needed to feature in an interview series. The first was Neal Adams, the second was Denny O’Neil. I also recently began publishing The Mike Allred Interviews. 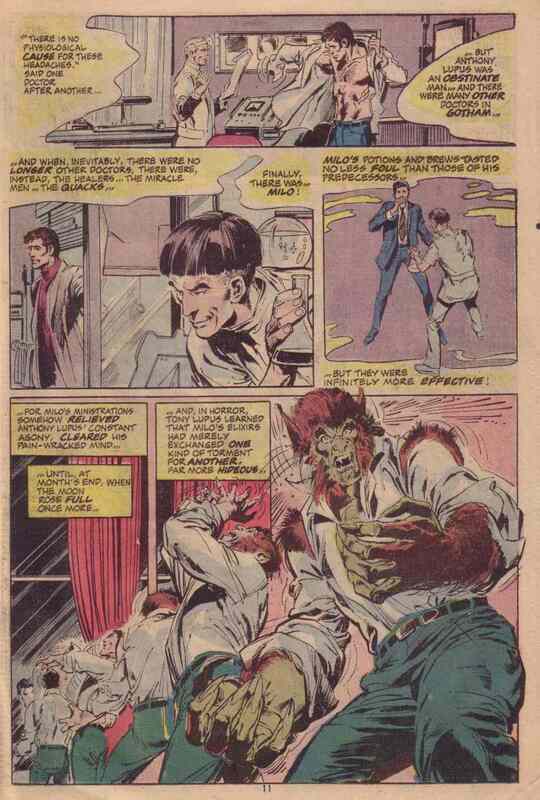 So welcome to The Len Wein Interviews. 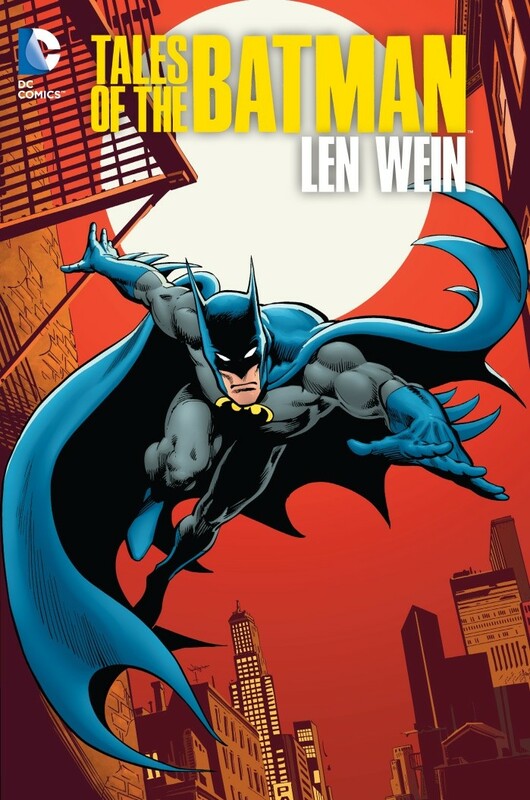 Over the next few months, I’ll publish segments where Len and I will discuss certain stories from his Batrepertoire, or just in general BS about Batman. We started by talking about the classic Moon of the Wolf –– which, strangely, is actually not included in the new hardcover — as well as The House That Haunted Batman … and the odd connection Len has to Professor Milo, of all villains. Dan: …and it was what solidified everything for me. It was actually a series of 6 issues that were not connected but connected at the same time. It was the one that began with Calendar Man and ended with the Riddler. I really wanted to talk to you about your perspectives, how you got onto the character and what you remember from those stories, and what your approach was. I guess I’ll just simply start with, how did you get on the Batman title? Len: I just wanted to. My first two comics I remember as a kid were both Batman. 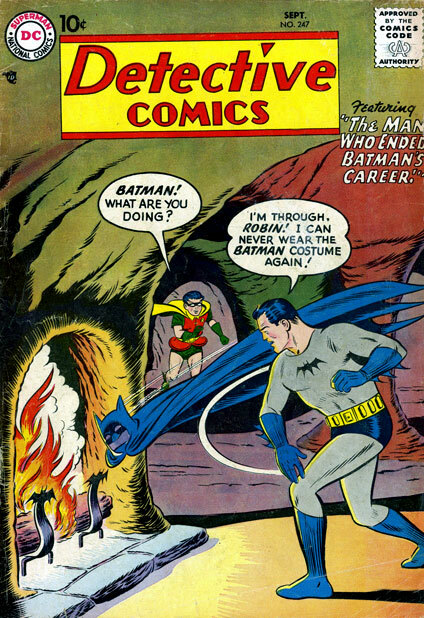 The first one was an issue of Detective and was called, The Man Who Ended Batman’s Career, where Batman becomes phobic about being the Batman and becomes Starman. The villain of that piece was Professor Milo. It was the first time he appeared. 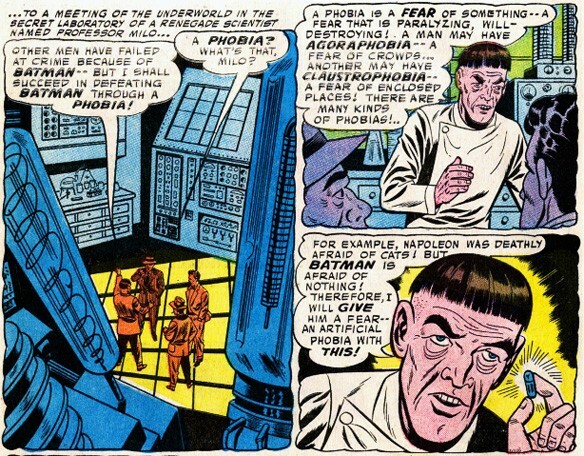 Then about six months later I picked up an issue of Batman where the lead story was, Am I Really Batman? Again, the villain was Professor Milo. He gives Batman amnesia and Robin has to re-teach him to be the Batman. 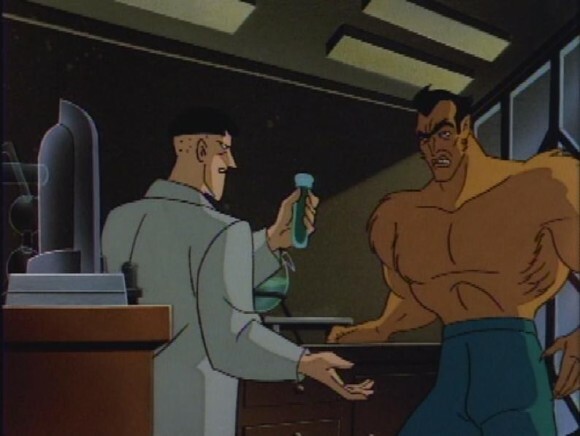 As a result of that, when I wrote one of my very first solo Batman stories, Moon of the Wolf, I revived Professor Milo who had not been seen since. So that was YOU, eh? I felt I owed him at least that much. That was one of the very first comics I had. 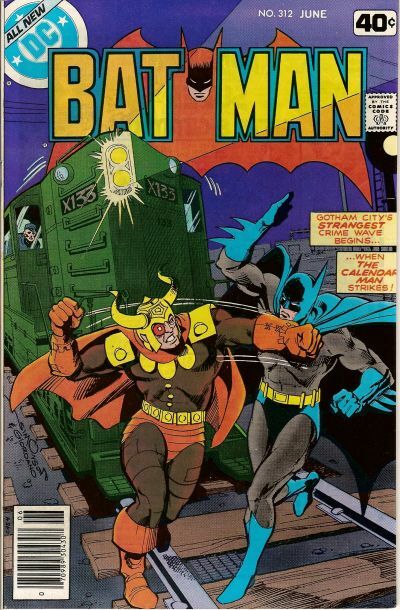 It was #255 I think, Neal Adams’ last solo work on the character for a long, long time. I do remember that story. So you were the one who brought back Professor Milo. … That’s great. 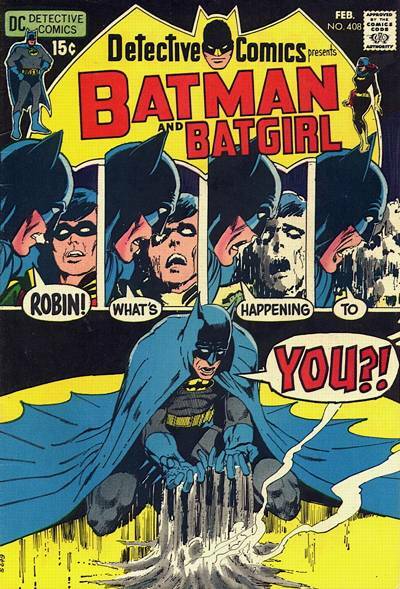 So Neal decided that he would draw the story anyway, despite the fact that Julie had passed on it, under the assumption — correctly so — that who in his right mind was gonna pass on a fresh Neal Adams art job on a Batman story? So that’s what happened. We did that and Neal finally turned it into Julie as a fait accompli and Julie was furious! But Julie was also not stupid! So he just said, “Don’t ever do this to me again!” Then he took the story and published it. Wow! Now, Moon of the Wolf was one of the ones that was adapted into an Animated Series episode as I recall. That’s how I got into television.. .on a regular basis, in fact. I had been working as the editor in Chief at Disney Comics out here in L.A. and Marty Pasko had been working for me as one of my editors and he saw the handwriting on the wall before I did about getting out of town so he left, then got a job as one of the story editors on the Batman (animated) series. 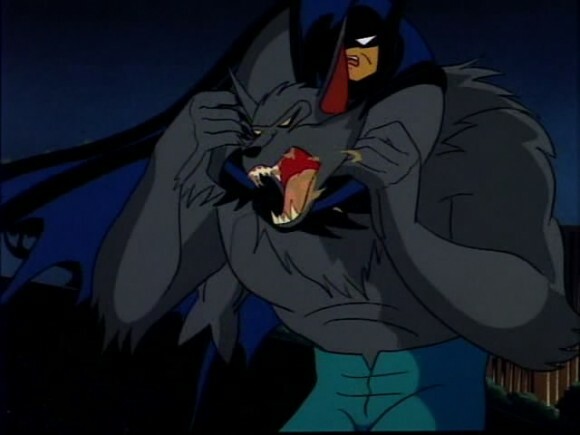 I said, “But don’t you have to submit premises before you actually get to do outlines on things?” He said, “Yeah, I knew you’d never get around to it so I gave ’em a stack of your Batman books and they want you to adapt Moon of the Wolf. And that’s how I, uh… (laughs) got into television! So, in a sense, Professor Milo has been an unwitting through line in a big part of your career then! Yes, he has! (Dan laughs) I owe him some kind of reverse debt then! Thanks, Mark. We’ve got a lot more to come! Very cool interview! Saw him at NYCC this year, very nice gentleman and I love his Nerdist Writer’s Panel Podcast. I was fortunate enough to get my UNTOLD LEGEND OF BATMAN #1 signed by Len & Jose Luis Garcia Lopez at NYCC and it’s my favorite piece in my collection.